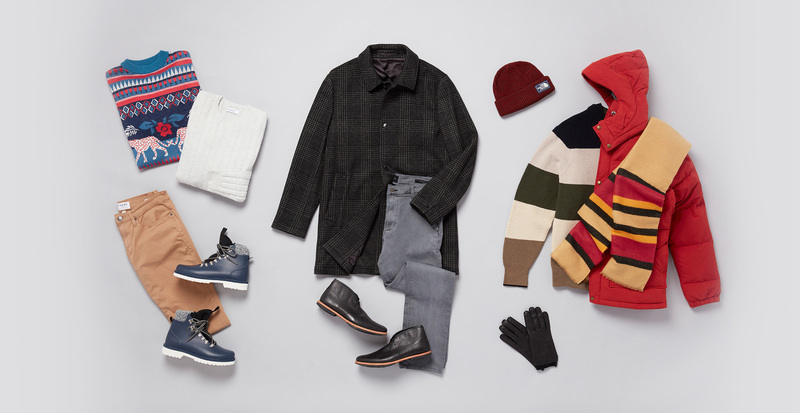 In the dead of winter, it’s easy to fall into an uninspired style rut. A sea of black coats is the norm—but that doesn’t mean you have to follow suit. We’re looking to bright colors and bold patterns to shake things up. 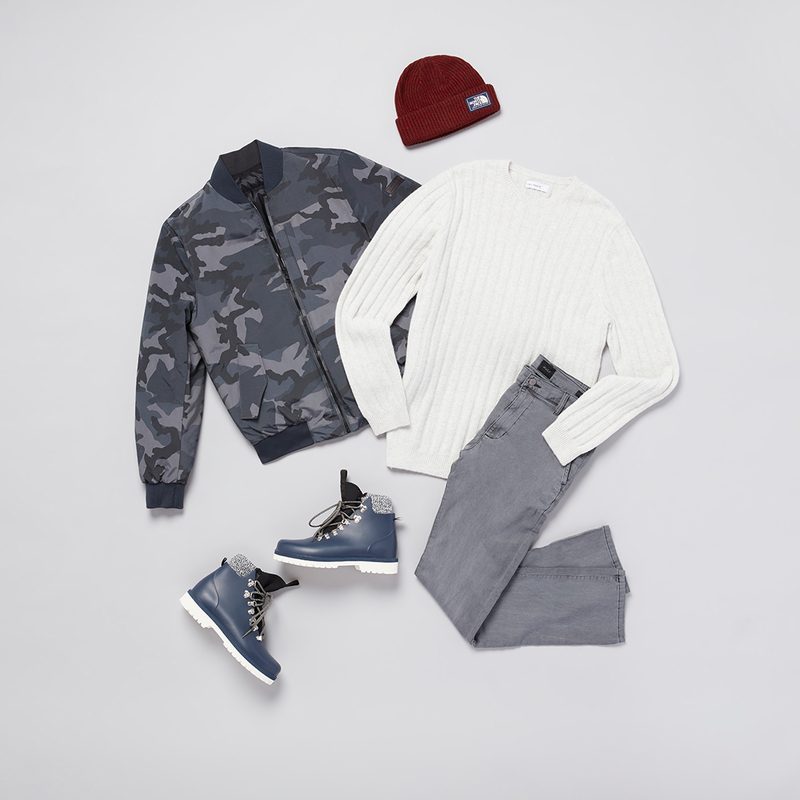 Keep reading as our expert stylist, Beatrice, shares unique ways to create stand-out looks this season. Though this look is comprised of easy-to-wear essentials, our stylist Beatrice was strategic in choosing pieces with unique details. A ribbed crewneck sweater adds interesting texture and keeps the outfit from feeling too flat. To really turn heads (and layer on the warmth), Beatrice suggests wearing a printed down-filled bomber overtop. Pull the look together with sleek rain boots and a beanie in an unexpected pop of color. Though stripes and plaids are pretty standard patterns, it’s the way you wear them that really counts—especially when they’re worn together. The key here is to have one accent color running throughout the various patterns so that everything feels cohesive. In this case, black can be found in the scarf, sweater, and coat. 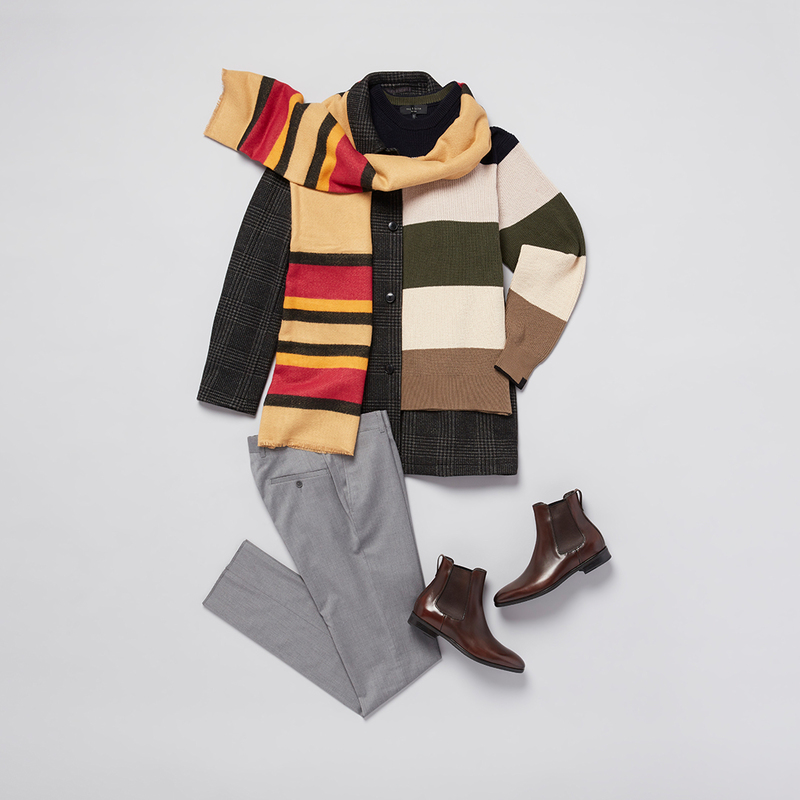 Since the top half of this outfit commands a lot of attention, Beatrice suggests going for subtle pants and classic Chelsea boots to balance the look. Since we tend to gravitate towards deeper colors in winter, injecting cheerful hues whenever we can feels fresh and exciting. “If you aren’t afraid to experiment with color, this one’s for you,” Beatrice says. 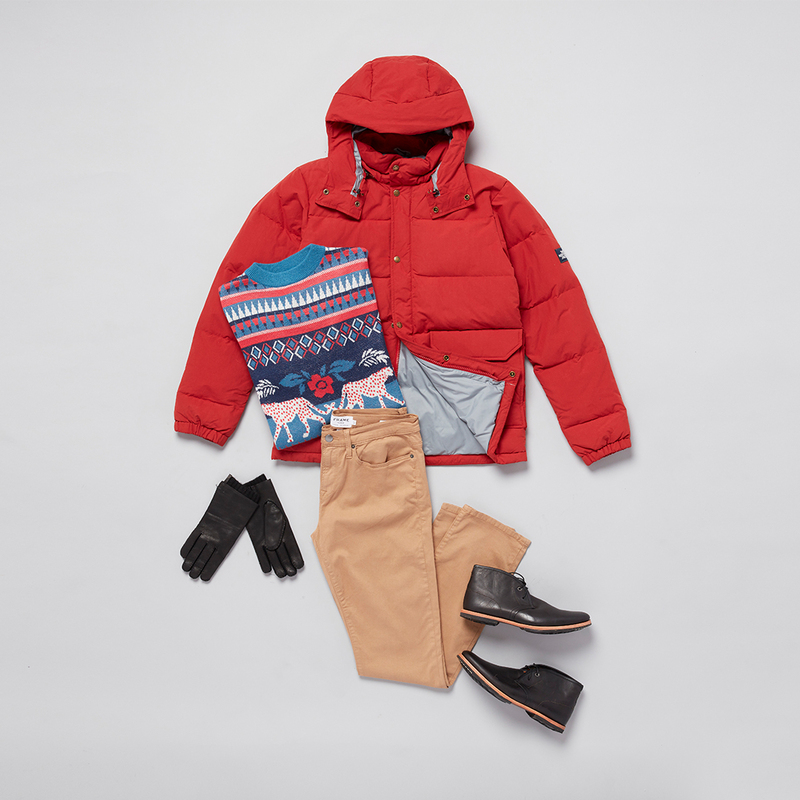 Leading the charge of this outfit is undoubtedly the bright hooded parka, followed closely by a statement sweater in complementary colors. Keeping with the unexpected theme, skip the blue denim in favor of chino pants in an earthy toned shade.